Why is a new test being introduced? The New European Driving Cycle (NEDC) will be replaced across Europe, including Ireland on September 1, 2017 by the Worldwide harmonised Light vehicles Test Procedure (WLTP). The NEDC test has been repeatedly criticised for its inability to reflect real-world fuel economy as the gulf between what can be achieved on the road and the results from ideal laboratory conditions widens. As a result consumers pay more at the pump because of the inaccuracy of the NEDC fuel consumption figures while the governments misses out on revenue due to unreliable CO2 figures, and the problem is getting worse over time. Scientists reporting to the European Commission in November last year cited 8 different studies that together determined the gap between the certified and real life levels widened from 8% in 2001 to 38% in 2013 on average. So why aren’t the results from the current test accurate? The NEDC is full of loopholes that can be exploited. Spare wheels and wings mirrors are routinely removed while cracks around doors and gaps can be taped to minimize air resistance and even the alternator disconnected to improve fuel consumption. It is also commonplace for carmakers to adjust the brakes, pump up the tyres, and tape up all the windows. While there is no evidence that carmakers are breaking any formal rules, the rules themselves are insufficient to get meaningful results so the new test will close a lot of those loopholes. How is the new WLTP test different? The new test (WLTP) uses a more realistic driving cycle derived from a database of 800,000 km of in-use vehicle data. What impact will the new test have on fuel consumption and emission ratings? As the test will be more accurate than the current one it is expected that fuel consumption figures will drop and co2 figures will increase so it’s likely to cause a lot of confusion among prospective car buyers as new cars will appear to be less efficient and less green than older ones. What about motor tax and VRT, how will the new ratings affect that? Little is known about how the WLTP will work with regard to taxes but it is certain that the value for CO2 will be higher than with the current testing system. Therefore if no change is made to the current motor tax system people buying new cars from January 2019 will pay higher taxes. Will older cars be affected or is it just new cars? Older cars will not be retested so their Co2 emission figure will remain. However it is likely that the rating may be “readjusted” for Motor tax purposes in order to correlate to the new, more accurate figures. What is the timeframe for the move from the old system to the new? WLTP is due to be introduced on September 1st 2017 for all new types of cars, so all vehicle models that are introduced on the European market for the first time. One year later, from September 2018, the new lab test will also apply to all new cars sold in the EU. 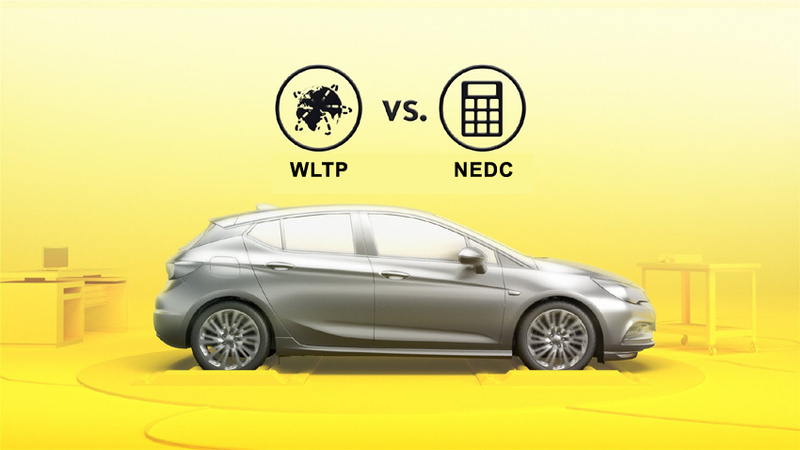 From January 2019 only the WLTP figure will be used but from September 2017 until then both the NEDC ( the old system) figure and the new one will be used to allow for comparison. What about extras and optional items, are they now part of the test? Yes, not only will a base car be tested but the WLTP will consider all available options – from air conditioning, leather interior to the presence of a sunroof – therefore the variation in CO2 levels and tax rates is vast. In the future, all car configurators will specify and price vehicles via their real CO2 footprint. In many cases adding optional extras will mean a higher co2 rating and a higher price tag so this may radically change the way consumers value options and the number of options available.